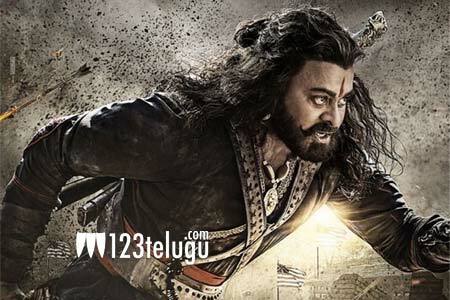 The shooting of Megastar Chiranjeevi’s much-awaited period magnum opus, Sye Raa, is nearing completion. Recently, the film wrapped up a crucial schedule at a specially erected set in Hyderabad. Now, the latest update is that the team will be flying to Kerala very soon for a week-long schedule. As per the reports, a major action sequence will be canned on Chiranjeevi and other artistes in this schedule. Later, the unit will resume the shoot in Hyderabad until the film’s completion. Surender Reddy is directing Sye Raa and Ram Charan is the producer. The film is tentatively scheduled for an October release.